Mutation Surveyor software 5.0 and beyond includes a user management system to control access rights for each analysis project and to generate a user audit trail of mutation edits. Access rights for each user are determined by the administrator, providing assurance that unauthorized individuals do not accidentally alter a project or change the analysis parameters established by the laboratory. User management also provides user ID and Organization in the header of the final reports, along with the ability to limit and monitor any changes made to the analysis, including mutation changes, deleted variants, and added variants. 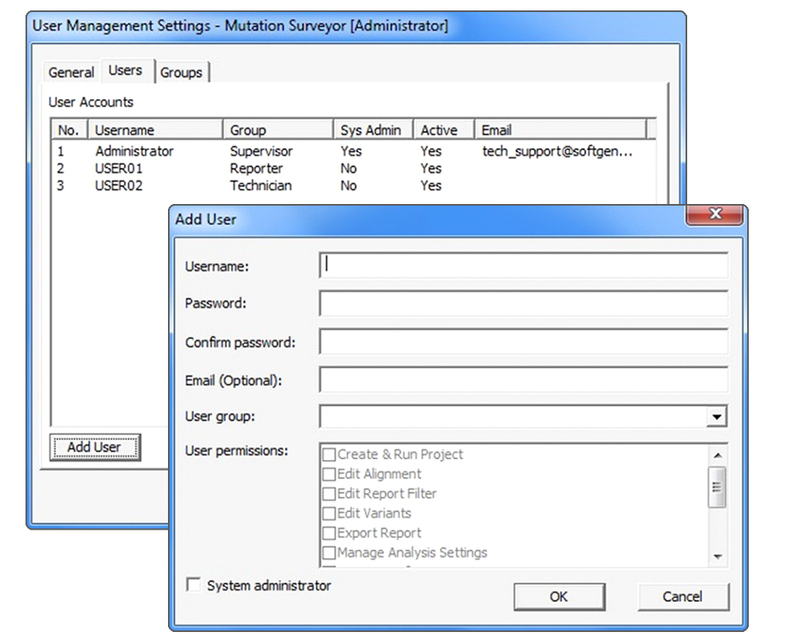 Figure 1: Administrators can easily add new Mutation Surveyor users and assign user permissions with the click of a mouse. The User Management feature enables administrators to password protect Mutation Surveyor, requiring a user login whenever the software is launched. Administrators can quickly and easily establish new users and set permissions ranging from viewing a mutation project to editing mutation calls or analysis settings. User names can also be assigned to groups to easily establish a hierarchy of permissions. Figure 2: User Management allows an Administrator to password protect the software. The Audit Trail of Mutation Surveyor software works in conjunction with User Management to track changes made to variants in mutation projects. Each change to a project is captured in an Edit History Report, along with time of edit, computer name, user name, and previous mutation information. The report records multiple edits, and has the ability to restore previous values should an edit no longer be needed. Figure 3: The Audit Trail feature stores mutation edits in an Edit History Report, which can be accessed and reviewed within a mutation project.